Help – my dog has cholesterol! 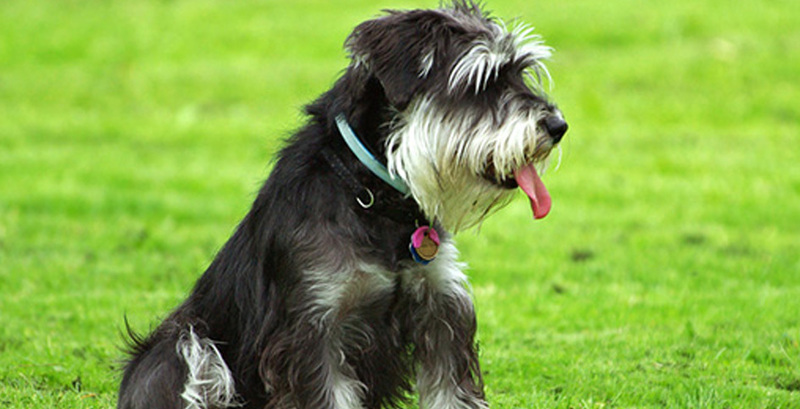 Although cholesterol is less frequent in dogs, some breeds, such as the Miniature Schnauzer, are more prone than others to suffer this illness. Cholesterol can be easily diagnosed and treated. Healthy food and habits reduce the risk of suffering it. It is commonly believed that human beings are the only animals that are afraid of not being able to eat sausages ever again due to high levels of cholesterol. However, high cholesterol levels can also endanger the cardiovascular health of dogs. Cholesterol is a greasy substance that is present in animals and that it is essential for cellular membranes. It is only problematic when it accumulates in the wrong places, mainly in the arteries, since it can reduce blood flow and cause serious diseases such as heart attacks, haemorrhages or circulatory problems. Normally, dogs not only suffer from high cholesterol levels but also a disease of similar effects called “hyperlipidemia”, which consists of an increase of blood lipids (fat). These fat substances can adopt two forms: as triglyceride, as cholesterol, or both. High cholesterol levels are less frequent in dogs than in human beings. Hyperlipidemia can be considered to be the equivalent of high cholesterol for dogs. Hyperlipidemia often derives from other underlying illnesses like diabetes, hypothyroidism, pancreatitis, liver diseases, obesity and diets that are high in fats. 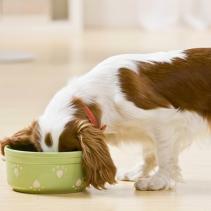 Under normal circumstances, when dogs eat, fat splits and is absorbed by blood within 30–60 minutes. It is at that moment that triglyceride and cholesterol levels increase naturally within 3 and 10 hours. Nevertheless, if fat is not split and absorbed correctly, its level may remain quite high for more than 12 hours. In that case, it is most likely that dogs will suffer from hyperlipidemia, with the symptoms that it entails: vomiting, diarrhoea, abdominal pain, abdominal swelling, attacks or lumps of fat in the skin. A good treatment is prevention. Vets can carry out blood and urine tests in order to check the levels of lipids or cholesterol in dogs' blood. If these levels are too high, firstly, the veterinarian will probably recommend a low fat diet to reduce cholesterol. If this measure does not succeed, certain medicines and therapies may be quite useful. In addition, from that moment on, regular analyses shall be carried out in order to keep the dog’s cholesterol and triglycerides levels under control. Some breeds are prone to suffer from hyperlipidemia, like the Miniature Schnauzer, Poodle, Brittany Spaniel, Shetland Sheepdog, Collie or Beagle. Therefore, if your dog is one of these breeds, we recommend that you consider a few tips to avoid cholesterol-related problems. Try to keep your dog at a healthy weight. Practising exercise regularly will help you maintain your dog's weight and physical condition. 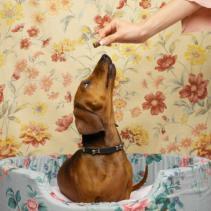 Control the amount of fats that your dog eats and try to avoid “human food”, especially those with high fat content. Finally, take your dog to the vet regularly in order to detect any of these problems as soon as possible.